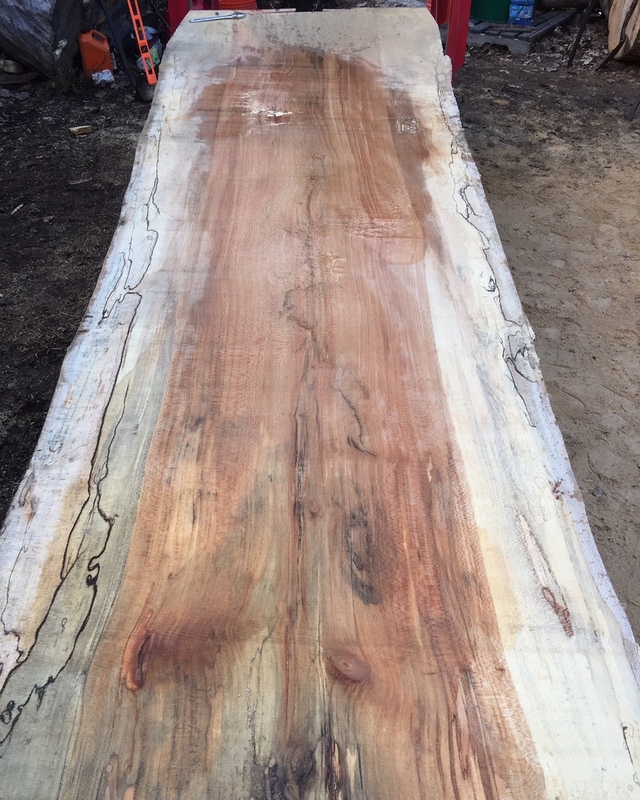 Tree: Reaches heights of 120 ft., with a diameter of 3 ft.
Wood: Sapwood is white to light yellow, while the heartwood is light to dark brown. Sycamore is classified as moderate in weight, hardness, stiffness, shock resistance and strength in bending. Working Properties: It has a close texture. Uses: Furniture (particularly drawer sides), containers, millwork, flooring, veneer, plywood, pulp wood, paper, particle board. 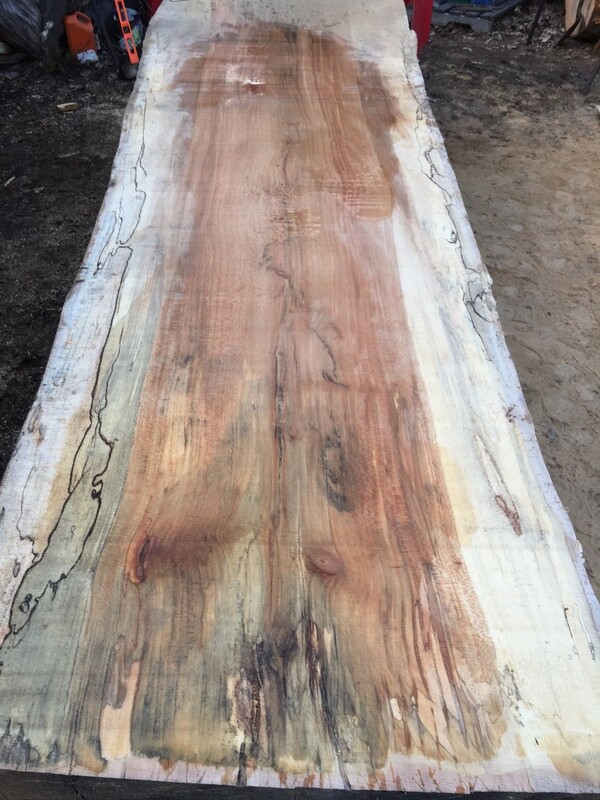 Description: Spalted Sycamore - we have the entire tree, all 10' long slabs. Description: Sycamore crotch. 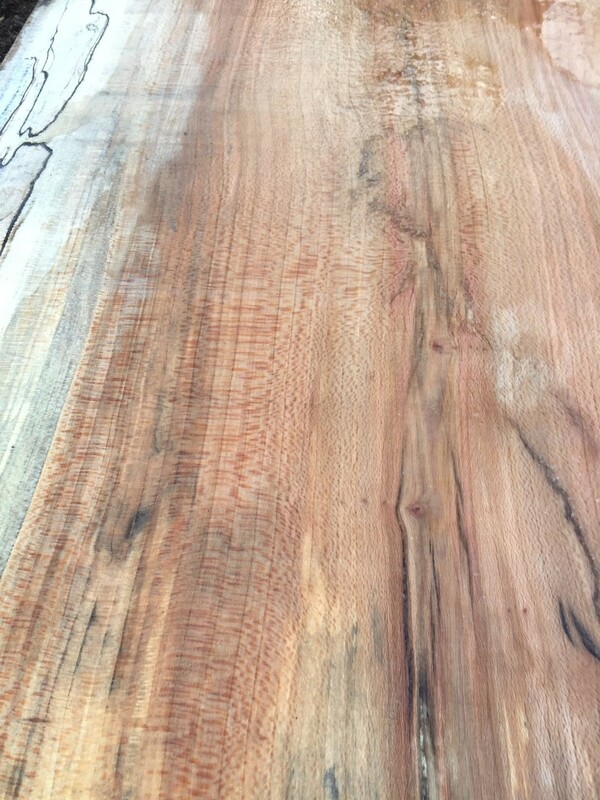 We have another 6' log that we will be milling soon.